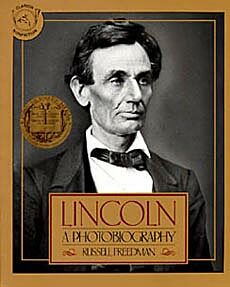 School Library Journal began its review of Lincoln: A Photobiography by saying: "Few, if any, of the many books written for children about Lincoln can compare with Freedman's contribution." That is certainly a strong statement, but we can't say we disagree. 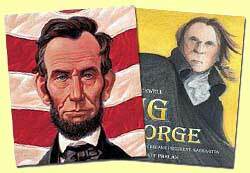 If you are going to have one book about Lincoln in your Grade 5-9 classroom, this should probably be it. 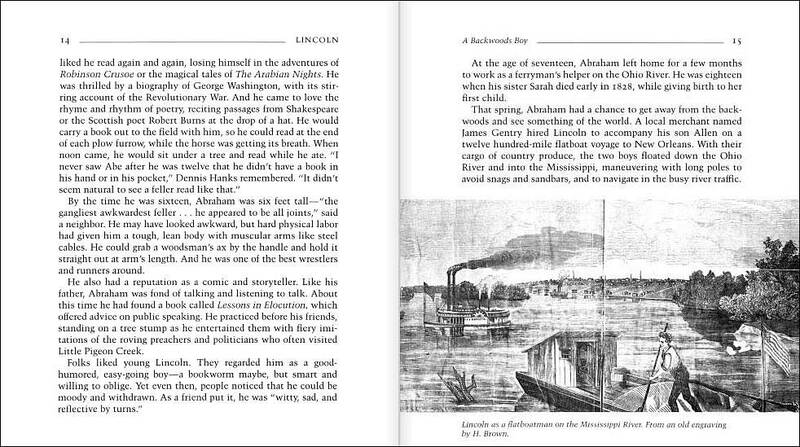 Freedman provides a compelling and complete portrait of Abraham Lincoln, describing his boyhood, his family life with Mary and his children, his early professional life, his presidency, and his assassination. 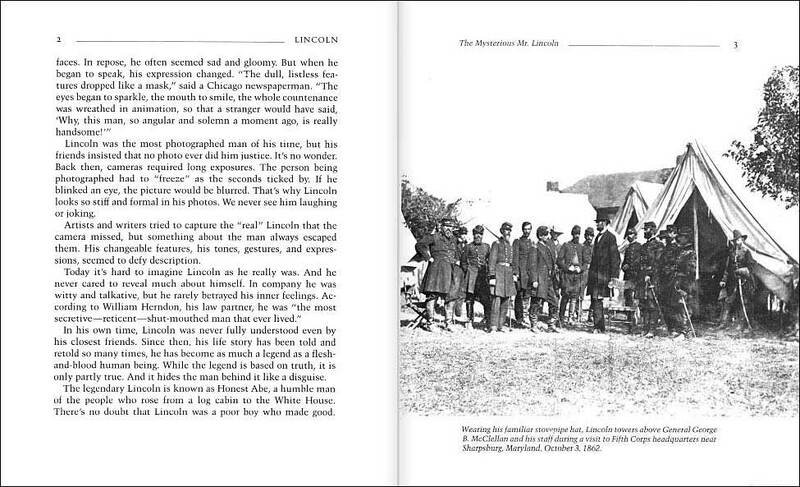 Throughout, the reader gets a sense of who Lincoln was as an individual, what he believed, what he stood for, and what he thought regarding controversial issues. School Library Journal ended its review by saying "Like Lincoln himself, it stands head and shoulders above its competition." Again, we agree. 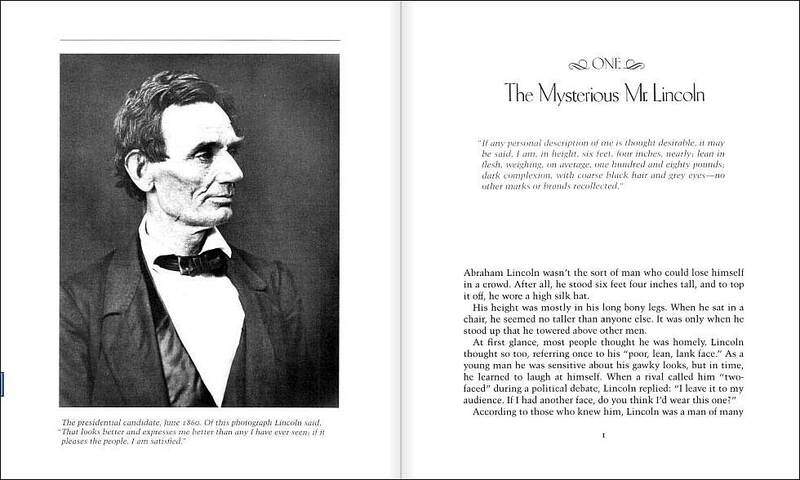 He also includes a thorough index, and together with the absorbing text, the ample photographs, the and extra informational sections, this a fantastic resource for student reports on Lincoln. 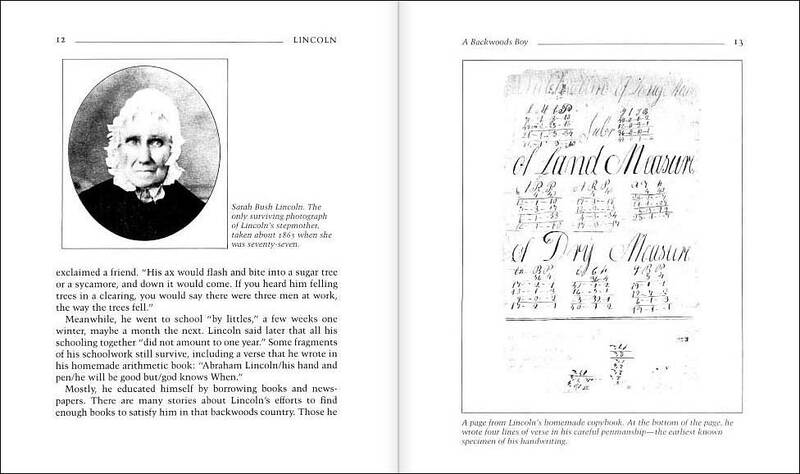 Here are sample spreads from inside this book. As in all Freedman's books, this title includes numerous illustrations. In fact, there's a large photograph or illustration on virtually every spread, each adding greatly to the content. That is one thing that makes Freedman's books true standouts---the selection and use of historical photographs, diagrams, illustrations, and period advertisements that spark curiosity and pull even casual browsers in!